May 3rd in Theme Lists, WordPress Themes by Wordpress Jedi . 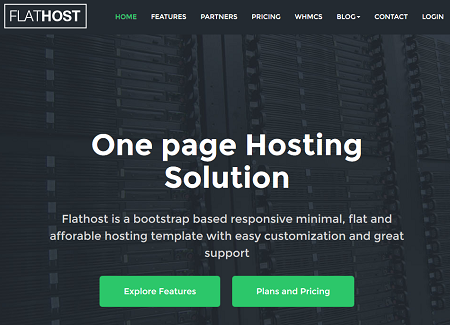 FlatHost: this theme has a responsive design, a drag & drop page builder, a domain search form, and various custom widgets. It is compatible with the WHMCS-Bridge plugin. 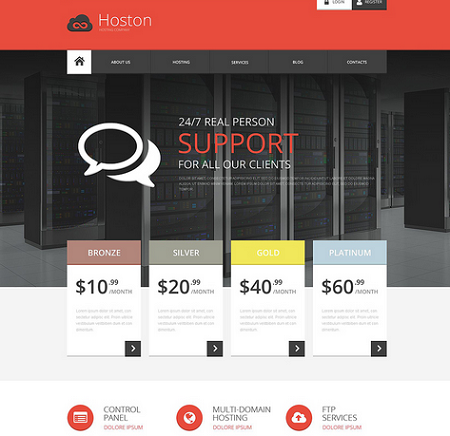 Megahost: a clean WordPress template with 8 skins, a responsive layout, and WHMCS integration. It is built on Bootstrap 3. 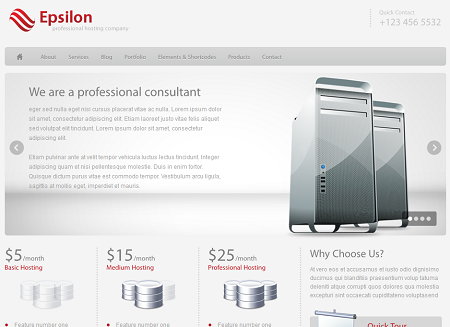 Hosting Template: this 2-column theme has a responsive design and offers lazy loading. It is jQuery-powered. Epsilon: a 2-in-1 theme with 9 custom widgets and a custom theme options panel. It also has portfolio page templates with Pop up Lightbox. 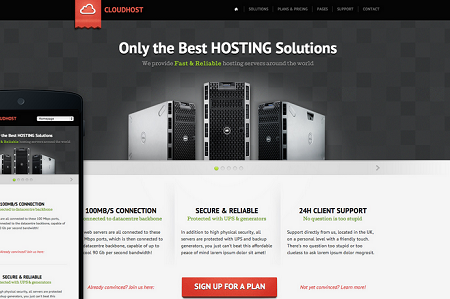 Cloud Host: a responsive, retina ready theme for WordPress. It is powered by the Fuse Framework. It has various useful built-in page layouts as well. 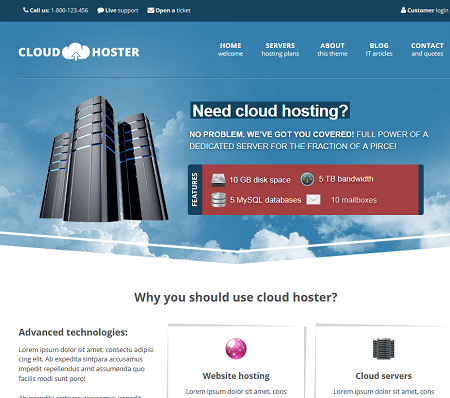 Cloud Hoster: a modern design with two color versions: dark & light. It is responsive and ready to be translated. It comes bundled with the Slider Revolution plugin. 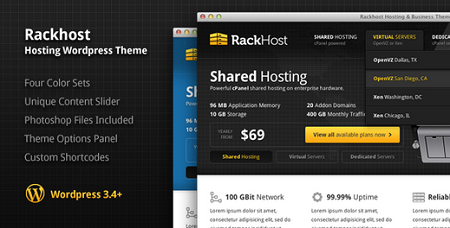 Rackhost: a modern hosting theme with 4 color schemes, custom icons, and a content slider. It is coded in HTML5 and CSS3. 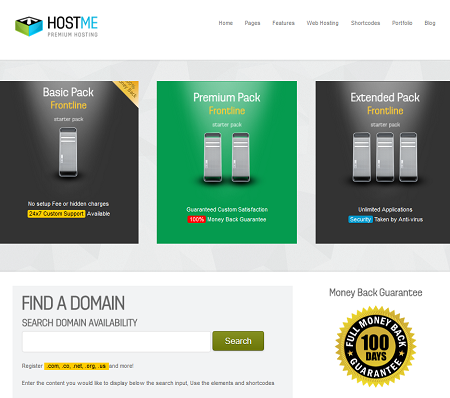 Hostme: a hosting theme with front-page sliders, unlimited colors, shortcode generator, and advanced admin options. 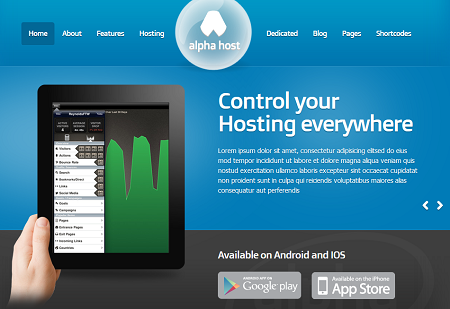 Alpha: this theme has a modern design with 5 color skins. It has a responsive slider, 10 background images, and a custom theme options panel. It is ready to be translated. 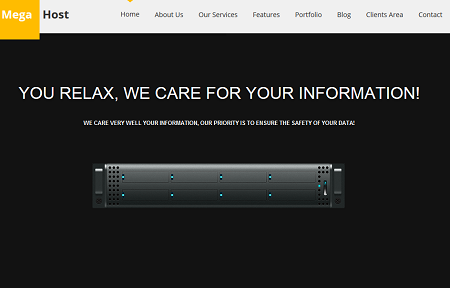 Servereza: an professional theme with a flexible, responsive layout. It has 3 page templates, a WHOIS lookup tool, auto image resizing, and more. 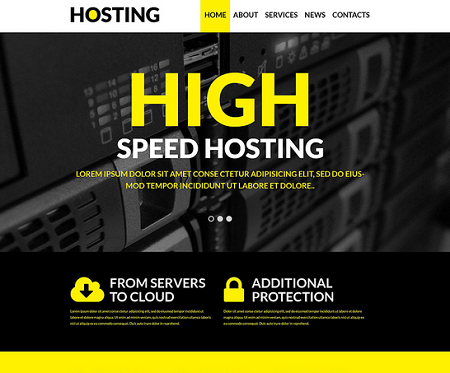 Hosting Solutions: a responsive, WPML ready hosting theme with pricing tables to display different hosting plans. It has a built-in drag & drop page builder, lazy loading, and over 80 shortcodes. 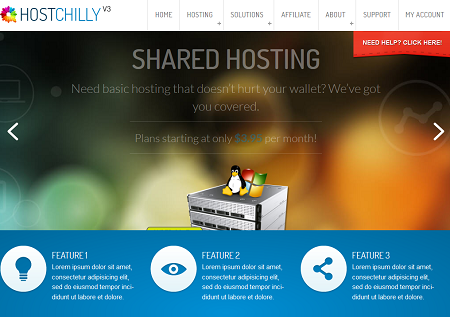 HostChilly: this theme has a responsive layout and WHMCS order form templates. You also get a touch-enabled homepage builder. 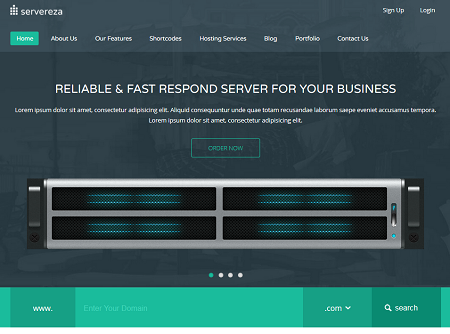 Have you found better looking themes for web hosts? Please share them here.